Piano covers serve a dual purpose: aesthetic and practical. They can make your piano look more charming, regal, and highly presentable, while at the same time keeping them safe and protected from scratches, marks, and premature wear and fading of the finish. It is essential therefore for sensible piano shoppers and owners to think of getting his / her dear grand or upright piano a decent cover. Likewise, the financial rewards of getting piano covers could well translate into a still good-looking piano despite the passing of several decades. Many older pianos have seen their 'fate' take them to the backroom because they either (1) don’t look good enough for display or they don’t (2) do their job anymore. You can extend your piano’s life for many years to come, simply by the purchase of a piano cover. "What a Prized Heirloom a Piano Can Be!" This is just the exact statement any grandpa would make when he sees how sparkling and sturdy his piano still stands, despite the decades past. Similarly, you want to take care of your piano as a lasting heirloom, and the secret? Investing in a piano cover. Although, kids are always welcome to play the piano and enjoy each sound that comes after every plunk of the key, once they’re away, make sure to keep your piano covered and secured. Household pets might find your piano strings a cozy nook for a cat nap. while your cat is having a great time snoozing, your piano is slowly dying, harming the inner components and degrading its tone. A well-constructed cover can discourage pets from resting on your piano, as thus prolonging your piano’s life, as well as your use of the musical instrument. 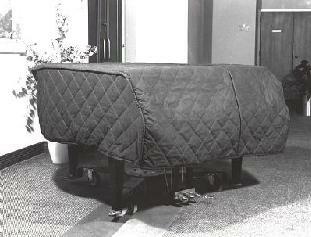 Piano covers are made of many different materials and manufactured in bulk. So, this gives you a pretty rich choice of piano covers to choose from! There many universal piano covers in the market, although if you want a little personal touch in it, you can ask a cover maker to design one to match your piano's exact specifications. Indeed, a custom-fitted piano cover can become a welcome addition to your home’s interior. What better way to care for and prolong your piano’s life than to protect it with a piano cover. You never know how much your grandkids will love to pass on the piano that you have cared for so much!